Customize our Mortgage Outreach Door Hanger Template and more! 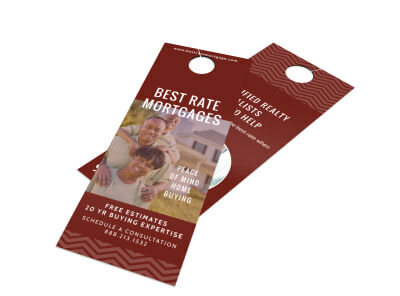 Let would-be homeowners know about current mortgage rates in other ongoing premiums for home buyers with this handy door hanger. 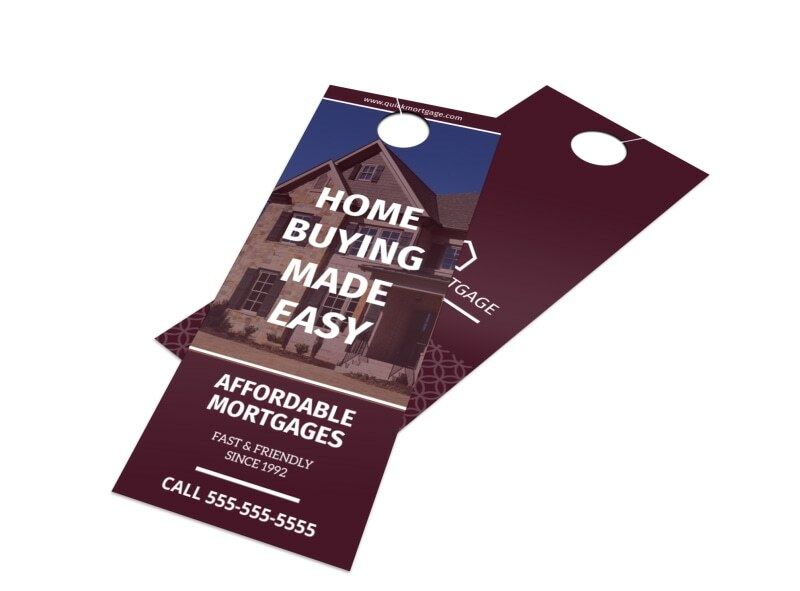 Dress up this template with your own message delivered in a custom font and color scheme, and then add graphics to grab the eye of recipients. 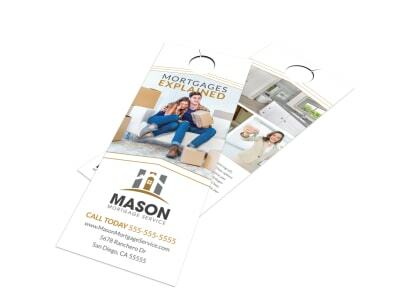 Begin your design with a few simple clicks now.